﻿ SAS Management Inc.MSP®- Program Management - SAS Management Inc.
MSP creates a structured framework for organizations of all sizes and from all sectors to improve their programme management practices, offer better services and more effectively prepare for the future. MSP® (Managing Successful Programmes) consists of a set of processes and principles that can be used in Programme Management. It was developed as a best practice guide, without being prescriptive. MSP is very flexible and can be tailored to serve the needs of any circumstances. 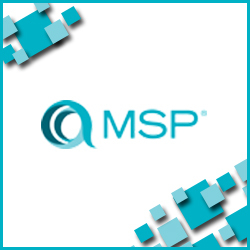 The MSP Foundation Certification is suitable for individuals who want to demonstrate they have sufficient knowledge and understanding of the MSP guidance to work effectively with a Programme Management team or act as an informed member of a Programme office, business change or project delivery team within a MSP supporting environment. The MSP Foundation Certificate is also a pre-requisite for individuals wishing to achieve the MSP Practitioner Qualification. To take the exam, you need to have passed the MSP Foundation exam, even on the same day. The MSP Advanced Practitioner Certification is aimed at MSP Practitioners who want to take the next step and demonstrate they can lead a programme of transformational change. If you want to take the Advanced Practitioner exam before you have obtained the results of your Practitioner exam, you can do so. However, if you pass the Advanced Practitioner and fail the Practitioner exam, you will have to re-sit the Practitioner exam within 24 months. If this is not completed in 24 months you will have to re-sit the Advanced Practitioner exam too. If you successfully sit the Foundation exam only, you will receive a "Foundation Examination" certificate. If you pass all three exams on the same day, you will receive the "Advanced Practitioner Examination" certificate only, and not any other one. MSP Practitioners and Advanced Practitioners are required to be re-registered within 3-5 years from their original certification. How do organizations benefit from using the Managing Successful Programmes framework?